It was her term break, and she was in Sao Paulo, Brazil for the summer. But Ms Lee Sue-Ann was not there to watch the World Cup. Nor was she on holiday. She was there instead on an internship with Brazilian planemaker Embraer. It was not her first. Last year, she was attached to French aerospace group Thales for four months. The 23-year-old Singapore University of Technology and Design (SUTD) undergraduate is among a group of students who prefer to have more work exposure while studying. This year, 168 first-year SUTD students went on internships, and 46, or about a quarter of them, did a second work stint. At Singapore Management University (SMU), 58 per cent of students have done between two and six internships, when they need to fulfil only a 10-week stint. An SMU spokesman said it has seen a 40 per cent increase in the number of students going on more than one internship over the last three years. The Nanyang Technological University said more than 4,000 students - over 80 per cent of each undergraduate cohort - go on internships annually. It does not track the number of stints students do beyond internships that carry credits for their graduation. 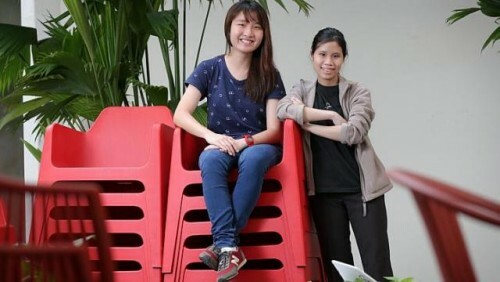 At least half of National University of Singapore's students have done work stints, although it does not track the number of internships they take part in. Students say going on multiple work attachments allow them to explore their interests and understand the workplace better before making career decisions. "I'm very interested in avionics and aerospace," said Ms Lee, who specialises in engineering product development. Her time at Embraer confirmed her interest in aerospace engineering. "It prepared me better to become a design engineer, to understand customer needs," she said. She was posted to the company's department that looks into engineering solutions for plane interiors, where she picked up skills in conceptualising designs. "We were challenged to design the cabin of a business jet for the future," she said. Her team suggested things such as movable aircraft seats as well as flexible and super-thin television screens that use organic light-emitting diode technology. "I also learnt how to translate technical drawings into proposals," she added. Ms Ann Wee, a third-year SUTD student, also opted for a second internship this year at the Singapore General Hospital's orthopaedics department. She spent four months working on a prototype of a diagnostic tool that tests for tight calf muscles, which lead to pain and difficulty in walking. The test is done by measuring the amount of force needed to flex the muscle. "I wanted to learn new things that were not touched on in school. "It's also a way to earn some money," said the 22-year-old, who learnt to develop websites last year as an intern at Microsoft Innovation Centre. SUTD provost Chong Tow Chong said more than 350 companies have pledged internships for its students. These not only give students the chance to solve real-world problems, he said, but also help them "make informed choices about their specialisation"